Abstract: This is a time of high technological products for all of the industries around the world. The advent of Airwheel S5 Electric Self-balancing scooter is going to create a new tendency for the electric scooter industry. This is a time for high technological products spreading all over the world. For electric self-balancing scooter industry, the advent of Airwheel S5 electric self-balancing scooter is going to create a new tendency for the transportation field. Airwheel S5 electric self-balancing scooter, after having been released just for several months, is gaining more and more popularity from many people all around the world. Compared with other products of Airwheel Company such as A-series, Q-series and so on, Airwheel S5 electric scooter has some unique characteristics which make it not only suitable for commutation travelling but also for patrolling, wild travelling etc. Apart from these functions, some great amusement parks are starting to use Airwheel S5 two-wheeled scooters as transportation tools to be rent to tourists for park travelling. 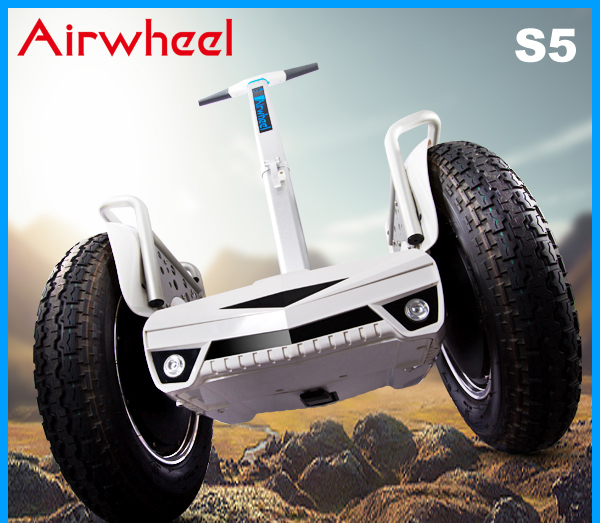 Airwheel S5 scooter has been equipped with two 16-inch large wheels and Chengshin tyres which are famous for the endurance all round the world. The enlarged width of the tyre is going to improve the stability of the vehicle in wild travelling. So compared with conventional and other kinds of Airwheel scooters, Airwheel S5 are more suitable for young guys to go to the wild for travelling. The structural designing of Airwheel S5 electric self-balancing scooter is also striving to make it a best choice for wild travelling. The skeleton and appearance is designed bolder and rougher to match the robustness and brutality of the wild. The enlarged tyre, operating pole, two-wheeled design and foldaway structure, all of these characteristics serve the Airwheel S5 scooter user to have a better travelling experience in the wild. 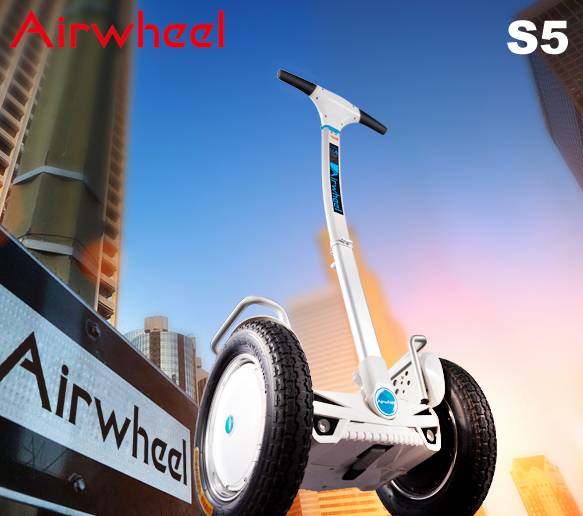 As the top-ranked product of Airwheel Company, Airwheel S5 is identified as the best companion for wild travelling users. From the appearance and structural design to the enlarged tyre and two-wheeled mode, Airwheel is striving to make Airwheel S5 the most suitable transportation tool for outside sports lovers. Compared with conventional electric self-scooters and other Airwheel products, Airwheel S5 is going to create a new tendency for the whole transportation field.